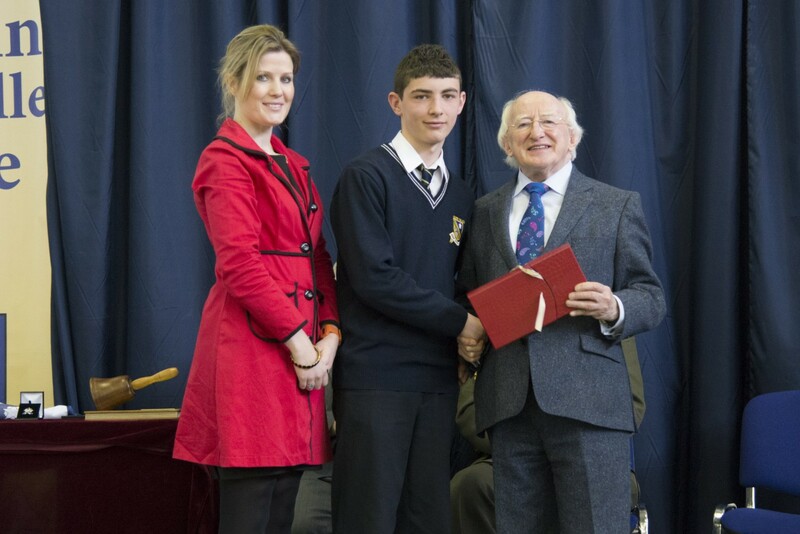 The President, Mr Michael D. Higgins visited the College on 10th April to mark our 50 year celebrations. He officially launched our Arts and Sports Festival to take place over the week of 22nd of April. 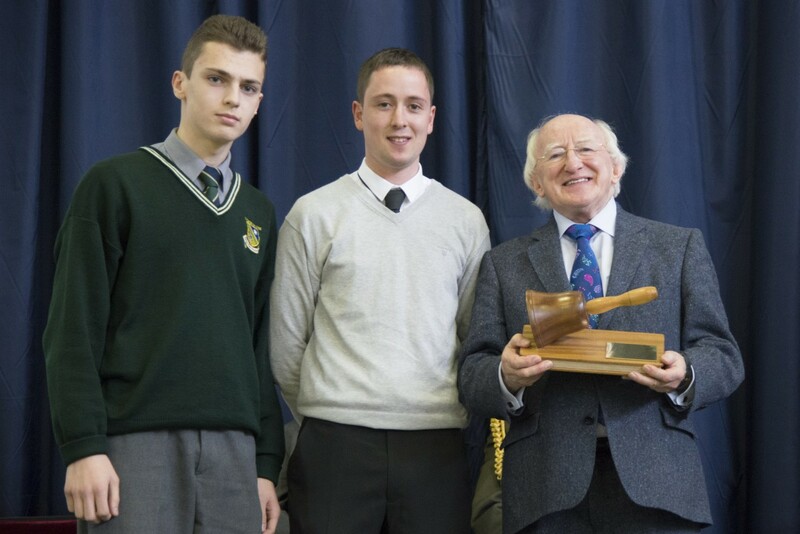 The President was presented with a sculpture of the original school bell crafted by Michael Collins, one of our teachers, which will become a perpetual President Higgins Award in Beneavin College to celebrate the Arts. 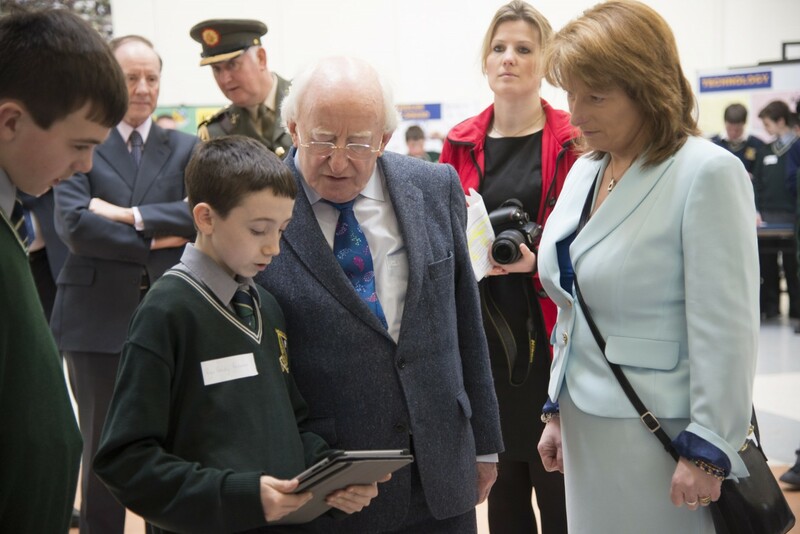 There was great excitement in the College in anticipation of the President’s visit and in the knowledge that it would not be possible for all of our students to personally meet the President they all eagerly took up the opportunity of writing to the President. These letters, bound in leather, were presented to the President during his visit. We hope he has time to read and enjoy them. Finally, the President was presented with a commemorative tie specially woven for his visit. This tie will, from hereon, be awarded to outstanding senior students in the knowledge the President of Ireland was the first man to wear one. 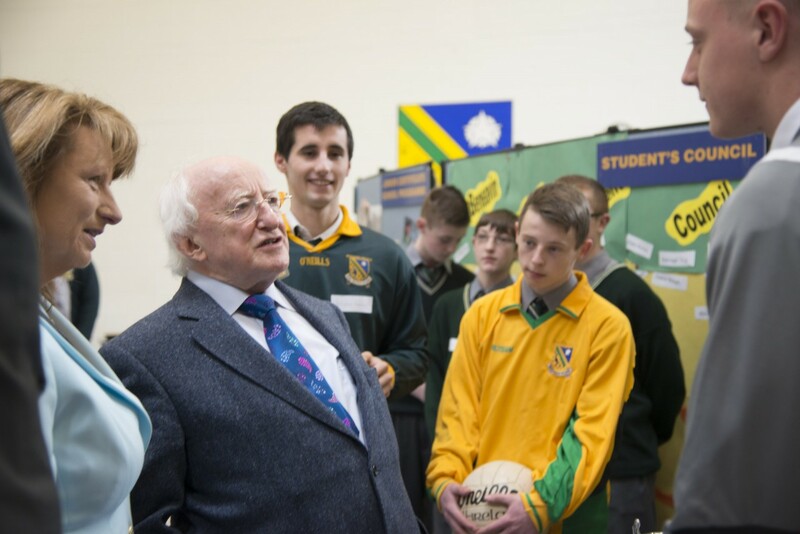 The President had an opportunity to meet representatives from a wide range of extra curricular groups in the College that we are very proud of, including all of our sporting heroes in football, basketball, gaelic, athletics, badminton, our hiking club, library, drama group, computer club, film making, community outreach clubs, no name club, arts groups, technology groups and musicians. 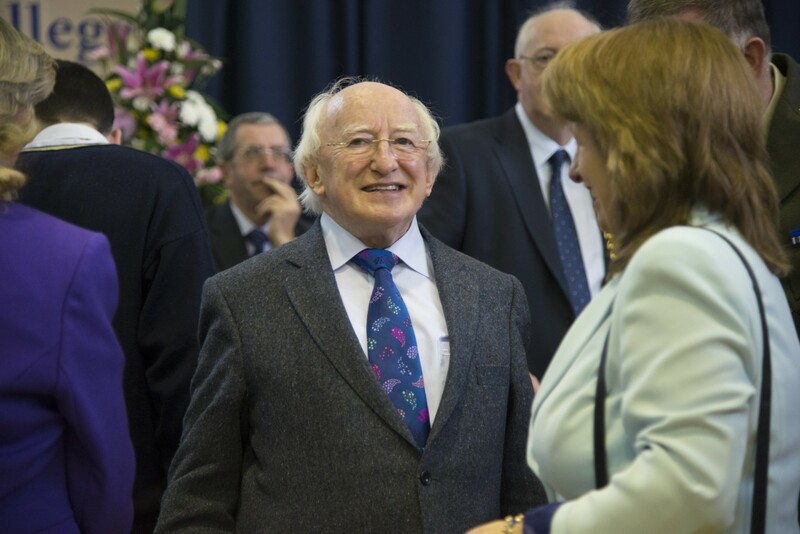 We are delighted that the President of Ireland honoured Beneavin College and the community of Finglas with his visit and marking our 50 years of excellence in education. 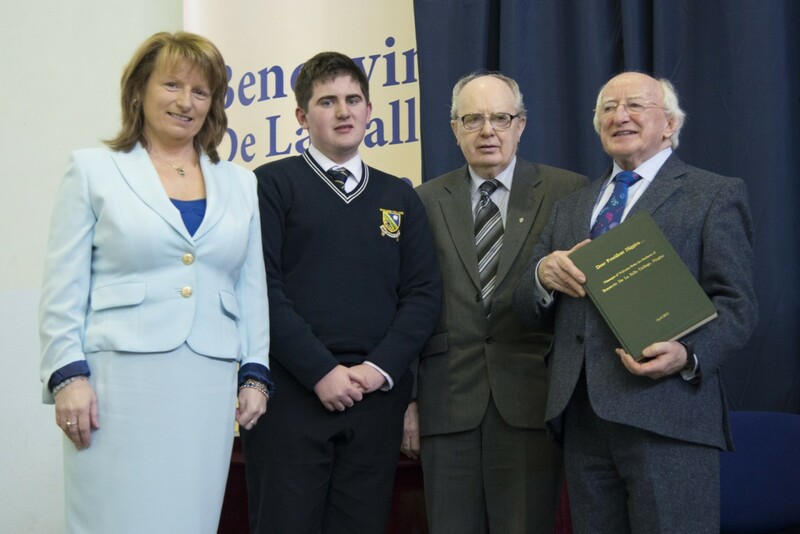 Beneavin De La Salle College has a very rich history. Following the arrival of the De La Salle order of teaching brothers in Ireland in 1880 and an invitation to set up schools in Finglas in the 1950s, a monastic community was set up in Beneavin House – where Beneavin Lodge is now located. By the 1960s it became apparent that Finglas East needed a secondary school and by 1963 the school was ready with 10 general purpose classrooms, a science block, an assembly hall, a library and playing fields laid out behind the school. The school was officially opened in April 1963 as a fee paying College and 108 first year boys enrolled that year with 240 boys in total. 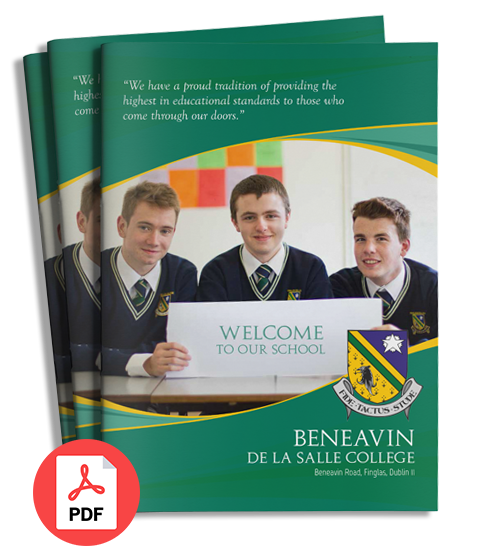 Since then Beneavin De La Salle College has grown from strength to strength now boasting the best technology facilities available and an Information Technology programme second to none. Recently the College has expanded this department to include a state of the art Apple equipped multi media room where film making is the order of the day. The students are currently involved in making a film about the 50 years of Beneavin College – looking back and looking forward. The film will be premiered on 26th April at the end of our Arts and Sports Festival.